In this shopping destination, items have mysterious and interesting origins. Did you know that famous personalities shop here, too? 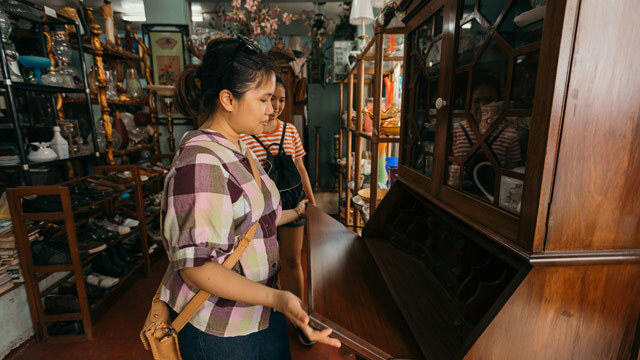 Along with the thrill of getting a good find while thrift shopping in Bangkal comes the storied history of the items. 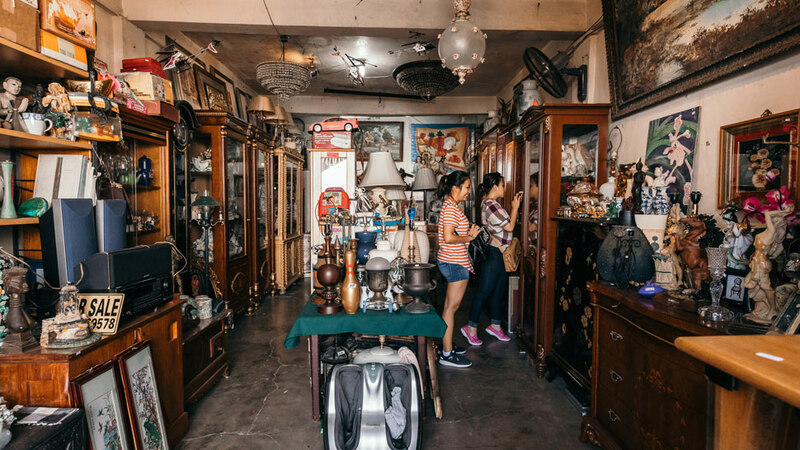 While most of the items are straightforwardly just from someone’s house, you would be surprised on who drops by at Bangkal, and the stories we heard from the shop owners! 1. Owners of upscale restaurants shop for their wares and décor in Bangkal. 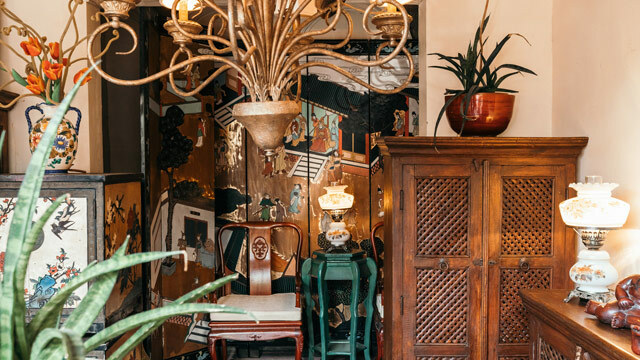 Next time you’re in your favorite restaurant, take a look around—those vintage lamps; centerpieces, or serving plates might have come straight from Bangkal. 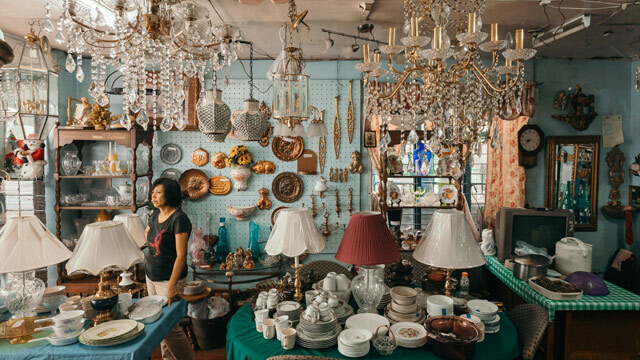 There’s an abundance of tableware in Bangkal, and antique finds do add a bit more character to any place. So fun to put on your Instagram feed! 2. Politicians pull up and hunt for antiques here. During our visit, we spotted at least two politicians (with their escorts and big cars) milling about Bangkal, looking for antiques. One snapped up a dining set made of narra wood worth around P40,000, while another went home with a wheelbarrow and a lawn furniture set. 3. The “new rich” love shopping and visiting stores within the area, too. 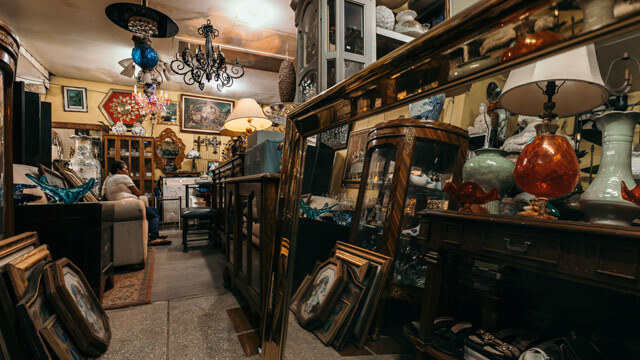 The old rich already have a copious amount of antiques passed down from generation to generation, with equally old and grand houses to house them all. Given their huge homes and ancestral houses, the Nouveau riche purchase a couple here, too. 4. Owners of auction houses sniff out good finds. 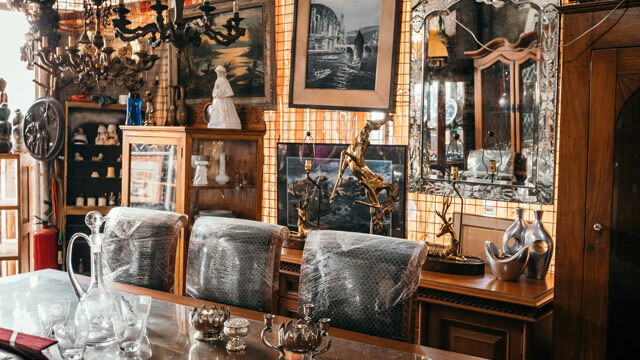 One owner mentioned that when auction houses were first starting out in the 80s, they would hunt around the stores in Bangkal, looking for paintings and furniture that they could sell. They would be surprised to see some of the items they sold in certain auction houses for quadruple the price they sold the piece for. Since then, the shop owners have gotten wiser with their pricing. 5. There used to be a chance to buy a painting by a National Artist for an affordable price. Paintings from Fernando Amorsolo or Jose Joya can easily fetch an amount in the millions nowadays, and an owner said that she used to have a handful of them stored away and eventually sold to the auction houses. She remembers having sold around two or three Amorsolos! 6. Some pieces hail from the most famous “house” in the country. Every Filipino knows the Malacanang Palace, and according to one owner, he was able to purchase a divider made of Narra wood and capiz shells straight from the Kalayaan Hall (previously known as the Maharlika Hall). It’s selling for roughly P18,000, which isn’t a bad deal for a piece of history. 7. Production set designers are Bangkal’s frequent shoppers. 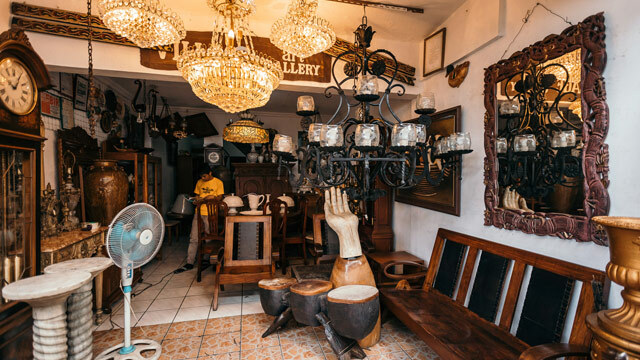 Fans of movies set in the Spanish period or TV shows showcasing old Filipino houses are most likely to get the look of the movie or TV show by scouring through Bangkal. Bauls, suitcases, decorative pieces and antique furniture add a lived-in, homey feel that department store items can’t replicate, after all. 8. It pays to ask. Most of the shop owners are in their store on a daily basis, so you can grill them about the provenance or the story of a particular product if you want more info. When speaking to some owners, we found some pieces that had real ivory and jade put into a piece of oriental furniture, a P55,000 complete silverware set from the house of a Philippine politician, and an authentic soldier’s helmet from World War II! 9. An owner claims that items from other thrift shops come from Bangkal. 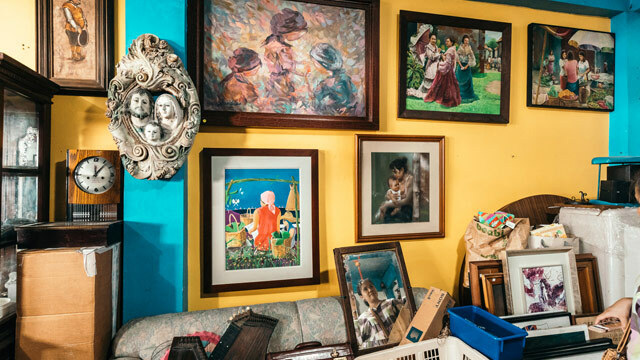 A handful of different owners harp the same story—that items found in thrift shops around the Metro, particularly in the Cubao area, came from Bangkal, and some owners still do and simply “resell” their finds. While there’s no rule saying that it’s not allowed for a thrift shop to resell items from another thrift shop, it’s plain logic to think that the main source of the item would sell it for a much cheaper price—so best to follow the supposed main source, or ask about the item’s history.